All WOLMAN exterior wood stains include a mildewcide and a powerful water repellent, which prohibits liquid precipitation (rain, sleet, snow and ice) from being absorbed. Dimensional damage (warping, splitting and cracking) is halted. All are formulated for use on both horizontal and vertical surfaces (siding and decks!). 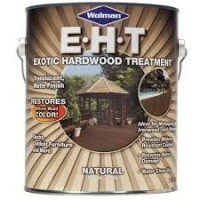 Plus, WOLMAN offers the only exterior stain with a preservative, which provides added protection against rot and decay. 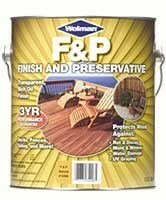 The following WOLMAN stains will help you protect your horizontal and vertical wood surfaces from UV degradation, water damage and unsightly mildew stains. Plus, their performance is GUARANTEED!